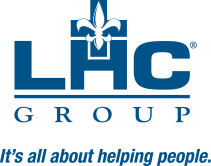 Dana Foreman joined LHC group in March of 2017. As division president of operations – Journey Division, she is responsible for the daily administration of a division which spans 11 states and has approximately $110 million in annual revenue. Mrs. Foreman has served in many different roles since her tenure at LHC Group began. She was directly responsible for the company’s inpatient hospice unit programs and held regional leadership roles in hospice for several states throughout 2017. Mrs. Foreman was also responsible for beginning transition of the newly merged Almost Family agencies – home health and hospice – onto the LHC Group platforms for HomeCare HomeBase, and to LHC Group processes and policies. Mrs. Foreman was also responsible for managing the LHC Group Palliative Care Program. Prior to joining LHC Group, she served as area vice president of operations for Amedisys in the home health division. Mrs. Foreman began her career in hospice service in 2004 at Community Hospices of America.